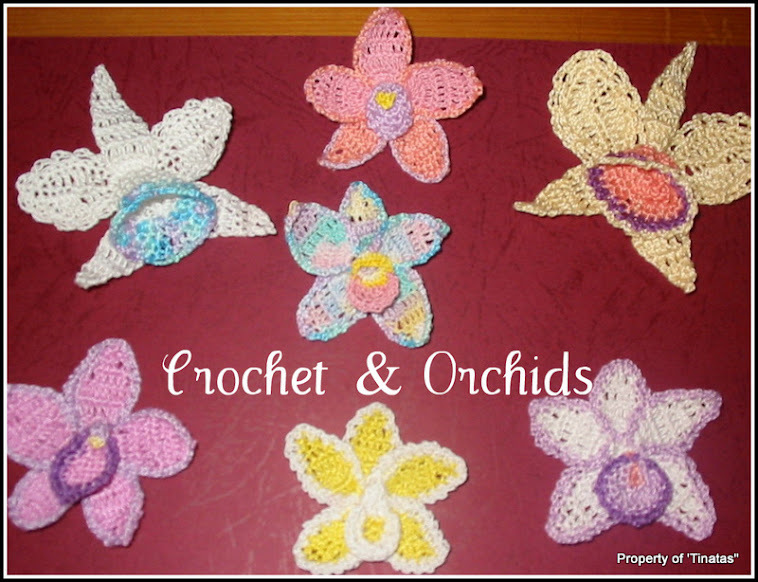 Crochet and Orchids: Hurry Up!! So how long is the project list now :-) all that time reading, you must have found a few. Thanks Maria & Krishana.. Must admit Krishana, feeling a bit sorry for myself at present, i find crochet so relaxing and I keep looking for something to do with one hand... Very limiting. And yes Maria, lots of projects in mind, keep looking at my stash and sighing Lol.. Hugs..
Shan't be long now ! Thank you for stopping by and leaving a lovely comment over at knitalatte. I'm so sorry to hear you've a cast on. I'm sure you are counting the days till you can get back to your crochet. Just took the quiz and I'm a Elanor Dashwood too!